In this Nature vs. Nurture essay example, we will offer topics, titles, an outline, and what it takes to make a great paper. 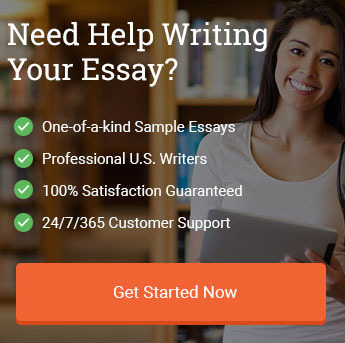 We begin with a strong introduction and thesis statement, followed by body paragraphs that offer in depth analysis of the topics as well as current evidence. We end the essay with a succinct recap of everything under the conclusion section. In critical essays, the main thing to focus on is development of a strong perspective to offer readers a unique and interpretive analysis of a text or topic(s). What came first, the chicken or the egg? Is Nurture more influential than Nature? The nature versus nurture debate has existed for thousands of years. Although the phrase was coined in 1869 by Francis Galton, an English polymath, humans have wondered what determined a person’s behavior and actions. While many believe a human’s behavior and personality are formed via a mixture of both nature and nurture, some have taken the side of ‘nature’, while others take on the side of ‘nurture’. Those that feel the nature side shapes people, contend that genotype and DNA determine personalities and traits. Those on the nurture side contend that humanity is born with a ‘blank slate’. Interactions and learning experiences thus shape a person’s understanding of life, allowing a person to acquire various attributes. The age-old debate of nature versus nurture is nothing new, except now that humanity has a better understanding of genes and genomes, such knowledge has paved the way for new exploration of an archaic topic. Whichever side people choose, there is merit to nature and nurture in helping form a better picture of what makes humans, human; this essay will explore nature and nurture and provide a potential ‘middle of the road’ interpretation, representing modern perspectives on the topic. Notable Empiricists like John Lock made popular the Latin phrase: tabula rasa. This phrase means ‘black slate’. The child’s mind serves as a blank slate from which learned experiences and interactions can form a child’s personality later and into adulthood. When Empiricists examine child development, they aim to look for how the child was raised, who they interacted with, what traumatic experiences they endured. They then base their conclusions on what they can gather from the child’s past. Nativists demonstrated their beliefs from the nature perspective through examples like Chomsky’s 1965 Language Acquisition Device. Chomsky believed “the ability to understand and reproduce language was innate in all humans due to an existing mental capacity and the requisite vocal mechanisms.” (Conkbayir 187) Certain aspects of human personality like anger, flight or fight, or language can be interpreted as ‘nature’ driven developments. Chomsky and those with similar perspectives, provided strong evidence supporting the idea that genes can impact how a person behaves as he or she develops. When examining the debate from the nature perspective, language appears to be the best direction to further understand this side of nature versus nurture. Chomsky believed human beings possess an innate ability to develop language. Although children can imitate and form habits, thus allowing nurture to provide some role in language acquisition, it is the potential predisposition to acquire competency and speech in language that makes it lean more towards nature. According to Chomsky, children can map language. Modern technology has dispelled much of nativist thinking in relation to certain aspects of language development. However, new research into genetics has reopened the nature side of the argument. Genetics has been used to better understand the criminal mind as well as the origins of mental illness. Robert Plomin in his article, “Beyond Nature versus Nurture”, refers to nature as inheritance. People inherit from their parents’ certain predispositions that may make them more inclined to be aggressive, depressed, alcoholic, and so forth. “… cognitive ability and scholastic achievement, several recent studies found genetic effects overlap completely. For behavior problems, similar results indicating genetic overlap have been reported for major depression and generalized anxiety disorder, major depression, and phobias, and major depression and alcoholism.” (Plomin 30) When people are analyzed and evaluated for their behavior, some of it can be related back to family history and genetic predisposition. If humans inherit some aspects of their personality, then the idea that certain things that make people human come from pre-determined information seems plausible. Although genetics cannot account for every part of a human being’s personality and behavior, it can account for some of it. A good example of this is schizophrenia. Researchers are still unsure of the number of genes responsible for development of schizophrenia, but they believe it to be an inherited mental disorder. (Plomin) People who have schizophrenia have the tendency to have a relative who also developed it at one point during their life. Schizophrenia can manifest early in life or very late in life. The prevalence of very late-onset schizophrenia is low affecting roughly 1% of the population. However, those that are affected experience auditory and visual hallucinations. The most common cause of the development of this form of the disorder is family history. (Plomin) Although a genetic link cannot be established, those with family history of schizophrenia are more likely to develop it than others with no prior family history. Because family history plays a role in developing schizophrenia, it can be used in the nature argument. Meaning, people born with a specific problem stemming from family genes could result in mental health problems or disordered behavior. Although people with a family history can become schizophrenic, the potentiality for development is not 100%. Saying Schizophrenia is inherited does not automatically denote certain development of the disorder. However, genetically speaking, a predisposition makes the brain more vulnerable to environmental stressors that allow for formation of this mental disorder. The same can be said of alcoholism. Not everyone with alcoholism in the family will become alcoholic, but when exposed to drinking these people may be more predisposed to developing an addiction to alcohol than other people. Environmental stressors are another part of the nature versus nurture debate and represent the ‘nurture’ side of the argument. Empiricists see the environment as playing a crucial role in the development of a child. As an infant, the person experiences according to the empiricist, a ‘blank slate’ mentality where nothing has influenced his or her thought processes. From there, various experiences and interactions begin to form the identity and behavior of the person. “Empiricists assert that there is no endowed knowledge at birth. Instead, all knowledge comes through the senses, and mental development reflects learned associations. They argue that external stimuli naturally provoke sensations.” (Bornstein, et al. 3) Furthermore, through association, individual raw sensations meld into what is considered, ‘meaningful perceptions, creating a personality and behavior. For example, two siblings with the same mother and father are raised in different households. They both have a genetic predisposition to depression but only one sibling is exposed to physical and verbal abuse. Later in life, the sibling that experienced abuse develops depression, while the sibling that grew up in a loving, stable home is active and happy. Although both siblings have a brain more vulnerable to depression, only one develops depression due to the environment that sibling grew up in. Empiricists feel the personality and behavior of an individual is learned as he or she ages rather than having these attributes be innate. A strong proponent for environmental learning, John Watson believed he could train infants (chosen randomly), to become any kind of specialist he wanted. He believed a child’s talents, race, or potentialities had no impact on what the child could become because the environment dictated how the child develops. Watson proposed that most “emotional reactions are the result of learned associations between unconditioned stimuli and neutral events so that these neutral events come to elicit emotional responses through classic conditioning.” (Bornstein, et al. 257) Some of what Watson stated may be correct however, it is important to also see what modern researchers believe when it comes to environmental learning. In the last few decades, new theories have emerged to explain how humans learn. Social learning theory posits that human behavior stems from the integrated point of view of behavioral, environmental, and cognitive influences. Modeling allows for continuous reciprocation of these influences. “Bandura’s work emphasized the importance of observing and modeling the behaviors, attitudes, and emotional reactions of others from the assumption that most human behavior is learned observationally through modeling.” (Baker and Brandell 128) If humans see something, they understand how it is done and can learn how to do it themselves. For instance, a person sees another person fishing. That person did not know how to fish before. However, after seeing what steps the other person took to fish, that person can mimic these steps and learn. Learned behavior serves as the basis for nurture. If parents teach their children to behave in a certain way, they will learn to act accordingly. An example of this is writing using the right hand. Some children are born left-handed but may be taught to only write with their right hand. Therefore, although the trait is left-handedness, the learned behavior replaces the right hand as the dominant hand. This changes not just how the child writes, but uses his or her hands. Many other examples exist where children are taught to behave in one way that counteracts what the children are born with and develop. This perspective strips the potential influence of genes, and proposes that all behavior is learned behavior. However, as Chomsky noted, as geneticists note, not all behavior is learned behavior. This is where the Empiricist perspective falls short. To state that hereditary factors remain irrelevant to a person’s development is not supported enough by evidence. Even when taking into consideration what the mother eats and where she lives as the fetus develops in her womb, that is not enough to determine the environment as the sole cause of human development. Therefore, the latest research is dedicated to incorporating both nature and nurture in human development. Nature represents the potentiality of an individual and nurture and environmental stressors. When it comes to combining the nature and nurture sides of the debate, many use the 50-year Twin Study example to state human development involves nature and nurture. The study, published in May 2015 in the Nature Genetics journal, surveyed 2,748 studies all conducted within the last fifty years as well as researched 14.5 million sets of twins and their respective personality traits. What the researchers found was remarkable. “the reported heritability is 49%.” (Downey 25) This means, loosely, that nurture counts for almost 50% of what people become. The other 50% percent is genetic. The study did not state every case was 50/50. Some that had bipolar disorder has a 70% genetic origin and 30% due to environmental factors. Still, what the twin studies show, is the murky line of nature and nurture. What seems like a potentially one-sided explanation turns into a complex, multifaceted exploration of causes and development structure. It seems like life and the way the human body works, the origins of human behavior, lie within the mixture of genetic and environmental. This makes sense considering the spectrum that is visible in all of life. From the range of emotions people feel to the varied processes happening within the human body, balance is needed to create stability in life. Humans require a mixture of influences to develop normally. Epigenetics seems to marry nature and nurture by determining that factors like environment, can cause change in phenotype while keeping the genotype the same. For example, many people in the United States suffer from obesity. Obesity has an impact on health by making many people who are obese, more susceptible to certain cancers. Three systems, including histone modification, non-coding RNA-related gene silencing, and DNA methylation are presently considered to start and maintain epigenetic change. If obesity promotes development of diabetes, some segments of the population that never experienced diabetes, are beginning to see occurrence of the disease to the point where it becomes family history (Clark and Lappin). Obesity and diabetes appear to be a major topic of interest in epigenetics. “Studies are beginning to uncover specific genes affected by epigenetic modifications that accumulate over time. One diabetes-specific example is the hypermethylation of the cytochrome c oxidase subunit Vlla polypeptide 1 promoter in elderly twins compared with young twins.” (Clark and Lappin 140) If specific aspects of nutrition play a part in diabetes development, which then affects genes, this leads to a combination of nature and nurture in that, the environment affects the genes that lead to development of predisposition. Although epigenetics is new, this area of study can answer many questions that were left unanswered from the Nativists and Empiricists of the past. Gene expression is the execution of the blueprints that are genes. Gene expression can be affected by the genes themselves and the environment. Epigenome is the interface regulating gene expression via environmental feedback. Putting it simply, when the directions in the blueprints cannot be executed properly because there are missing components like proteins and carbohydrates, changes occur. Without these proteins and carbohydrates or anything else needed to run the blueprint, the environment can then have an impact on the development of a person’s genes. This can be seen in the human immune system. Sophisticated host defense mechanisms have developed among vertebrate animals to help combat potentially hostile antigens. These mechanisms chiefly consist of “the immune system and the epithelial cells that cover the body surface. Accumulating studies reveal epigenetic mechanisms in collaboration with signal transduction networks regulate gene expression over the course of differentiation, proliferation and function of immune and epithelial cells.” (Obata, et al. 226) Fine-tuned via physiological conditions, these cells change. Although some environmental factors can lead to inflammation and immunodeficiency disorders. Multiple Sclerosis for example, generates problems with a person’s myelination processes within the brain. Epigenetic regulation of the immune system constantly shifts due to introduction of new viruses and other pathogens. Europeans were exposed to many different pathogens when they ventured into the Americas. The natives however, were not exposed to such pathogens, which resulted in the deaths of millions. This shows the environment having a direct effect on the genes and the genes expressing themselves in a way that precedes environmental stimulation. If the environment plays a role in how humans develop at the genetic level and the consequences is altered genes that then create pre-existing conditions, this shows how nature and nurture can go together. Epigenetics is a great new area of research that promised a better understanding of nature versus nurture. It offers deeper insight into how humans development and evolve on earth. Furthermore, it provides the idea that one does not exist without the other. In conclusion nature versus nurture has deep roots in the work of ancient Greek philosophers. They sought to understand child development and see what causes a child to behave and act a certain way. This was then carried on to the 19th century and beyond where people like Chomsky and Watson chose sides to see which made the most sense. From a Nativist perspective, people were born with innate knowledge and potentiality. To some extent this is true because people are born with certain predispositions. Some may be more predisposed to alcohol addiction, while others to mental disorders. From an Empiricist perspective, people exhibit learned behavior due to their environment. Two siblings sharing the same parents could exhibit different behavior and lifestyle choices based on where they were raised. To some extent this way of thinking rings true because learning does involve interactions and experiences with the environment. However, neither nurture or nature could explain the reality of human development as seen in the 50-year long Twin Study. In the end, it seems 50% of human development can be attributed to the environment, and 50% to genes. When putting this into context through the study of epigenetics, this means nature and nurture play a part in how humans behave. Epigenetics states gene expression can be changed leading to a change in the genes. People see this through the immune systems of people exposed to various pathogens compared to those not exposed. Whether epigenetics will answer all the nature versus nurture questions is still unknown. But, it does offer some understanding of how genes play a role in development and how the environment could affect genes. There is so much to discover when it comes to genetics and the environment. It remains a mystery that is begging to be solved. Hopefully it will be in time. Baker, Karen E, and Jerrold R. Brandell. Child and Adolescent Psychotherapy and Psychoanalysis: One Hundred Years After ‘little Hans’. Routledge, 2013. Bornstein, Marc H, et al. Development in Infancy, Fifth Edition: A Contemporary Introduction. Taylor and Francis, 2013. Chomsky, Noam. Language and Mind. 3rd ed., Cambridge University Press, 2006. Clark, Alexander, and Shalom Lappin. Linguistic Nativism and the Poverty of the Stimulus. John Wiley & Sons, 2010. Conkbayir, Mine. Early Childhood and Neuroscience: Theory, Research and Implications for Practice. Bloomsbury Publishing, 2016. Downey, Myles. Enabling genius: A mindset for success in the 21st century. LID Editorial, 2016. Niculescu, Mihai D, et al. Nutrition in Epigenetics. Wiley, 2011. Plomin, Robert. “Beyond Nature versus Nurture.” Genetics and Mental Illness, 1996, pp. 29-50. Rutherford, M. D. Developmental Psychology: An Evolutionary Perspective. Lulu Press, 2016. After reading this Nature vs. Nurture essay example, we hope this helps you understand what it takes to craft a quality essay for your academic endeavors. Nature vs. Nurture can be a difficult topic to tackle because it lacks the kind of finite direction that other topics have. However, we hope we have assisted you on your journey towards academic success. If you need any additional assistance, feel free to leave a comment below, and we’ll be sure to assist you. "Nature vs Nurture Essay Example." Aceyourpaper.com. Student Network Resources Inc, 26 April. 2017. Web. 20 April 2019. Student Network Resources Inc. "Nature vs Nurture Essay Example." Aceyourpaper.com. https://www.aceyourpaper.com/essay/nature-vs-nurture-essay/ (accessed April 20, 2019).